The train keeps a-rollin‘ – US RAILS realize: We Have All Been Here Before! Almost a decade ago five musician friends decided to start a band in addition to their long-lasting solo careers because they were convinced it could grow into something big. By now US RAILS have established themselves as classic Blue Rose artists, they are about to release their fifth album, We Have All Been Here Before. The album differs quite a bit from its predecessors US Rails (2010), Southern Canon (2011), Heartbreak Superstar (2013) and Ivy (2017). What does a band do when they are about to go on tour and would like to present a new album but do not have enough new songs? Exactly, they look for fitting songs by other songwriters and record a covers album. This approach isn’t always successful but the song selections and arrangements by Tom Gillam, Ben Arnold, Scott Bricklin and Matt Muir work like gangbusters! All four of them cherry-picked their songs and interpreted them as if they were original compositions. Since Joseph Parsons‘ departure two years ago, three otherwise independent artists – Ben Arnold (Acoustic Guitar, Piano, Electric Piano, Organ, Vocals), Scott Bricklin (Bass, Acoustic Guitar, Vocals) and Tom Gillam (Electric & Acoustic Guitars, Slide Guitar, Banjo, Vocals) – plus drummer Matt Muir are US Rails, a combo not unlike CSNY or the Traveling Wilburys. US Rails are direct successors of Philadelphia’s „4 Way Street“. We Have All Been Here Before contains a delightful mix of well-known and lesser-known gems from rock and pop history. It’s legitimate to assume that „Poor Poor Pitiful Me“ by Warren Zevon, „So Into You“ by the Atlanta Rhythm Section or the old blues number „I’d Rather Be (Blind, Crippled & Crazy)“, recently rejuvenated by the Derek Trucks Band, were picked by Tom Gillam – they seem to fit right into his wheelhouse. Ben Arnold sings lead on Neil Young’s „Everybody Knows This Is Nowhere“ and „Put The Message In The Box“ by Karl Wallinger’s band World Party – a clear indicator as to who picked these songs. Scott Bricklin is a declared Beatles fan – „You’ve Got To Hide Your Love Away“ may very well have been his suggestion. Matt Muir is not only a great drummer, he also has a beautiful singing voice that he lends to „Second Hand News“ from Fleetwood Mac’s classic album Rumours and to album closer „Running On Empty“ by Jackson Browne. 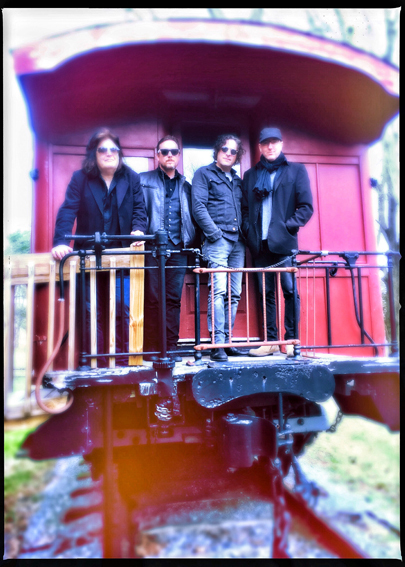 Each member of US Rails is a great songwriter – they don’t have to prove it with every album. We Have All Been Here Before is a beautifully fresh-sounding in-between record to shorten the wait for the next album with original songs. Kommentare deaktiviert für The train keeps a-rollin‘ – US RAILS realize: We Have All Been Here Before! 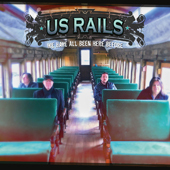 Der Zug rollt weiter – US RAILS stellen auf ihrem neuen Album fest: We Have All Been Here Before!